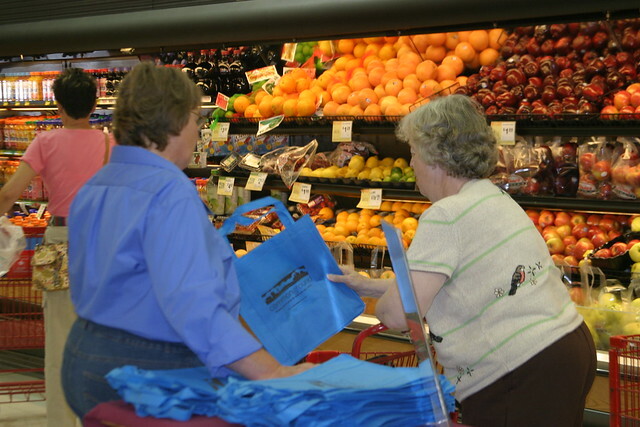 Linda Schwarz, CommonGround volunteer from Bertrand, Nebraska has spent some quality time at the grocery store! Not shopping, but sharing about how food is produced, modern agriculture and her story of life on the farm. 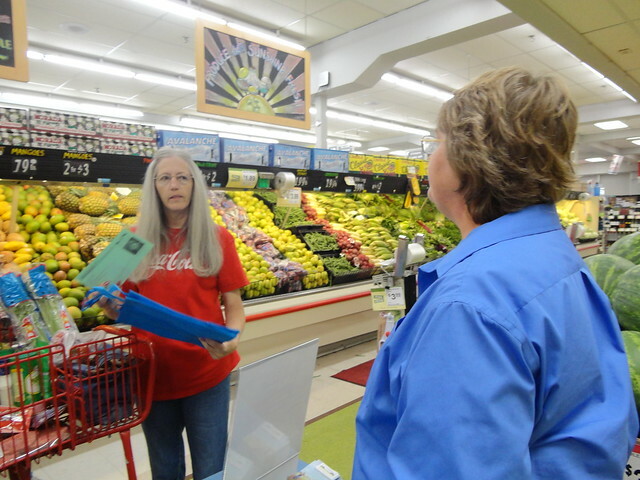 She was in the Hastings Russ’s Market last Friday and one of the Lincoln Russ’s Market stores on Saturday. It’s important to meet consumers on “common ground” to have conversations about where their food comes from and for them to meet a farmer face-to-face. 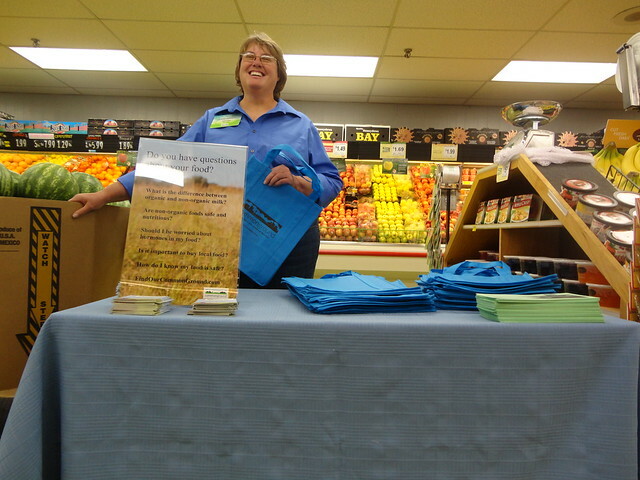 You can learn more about Linda here or check out her family farm’s website: Schwarz Family Farm. Find more pictures on our online photo album on Flickr, here!